will be rewarding to our Family and encourage the next generation to continue the tradition! Do you need help researching your family in the Jefferson County, Birmingham Area? Please provide Your name, email address, and surnames being researched, along with the Alabama County to our email address: info@baagg.org and someone will get back to you in 7 business days. Do List your Family’s Surnames (Jackson, Veale, Booker, etc.) and the Alabama Cities, and Counties (Milton, Autauga, Alabama or Bibb, Alabama ( if city or community is unknown)) they are from. This information will help the researcher help you. 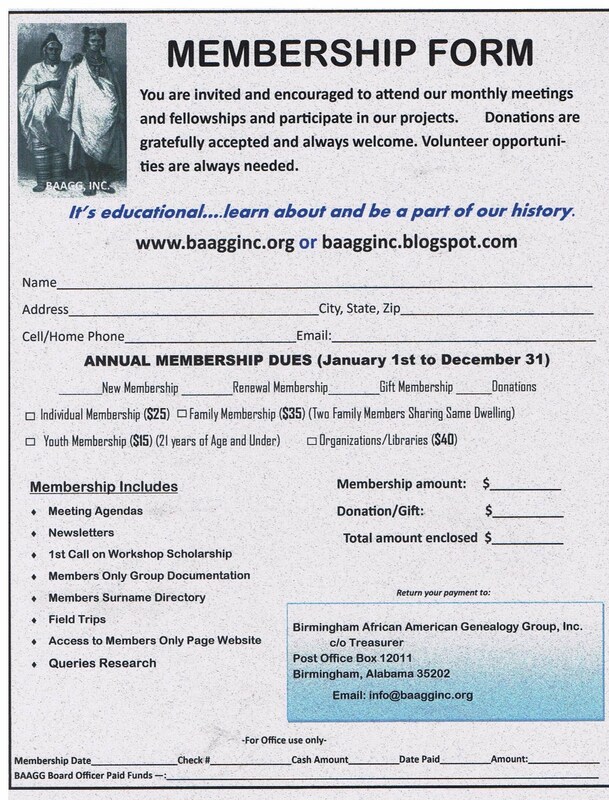 Want to Become a Member of BAAGG!